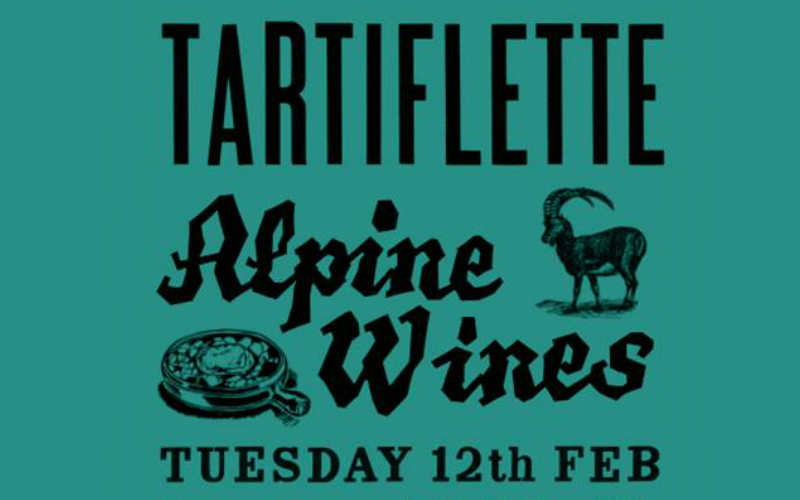 The Drop wine bar is hosting a series of monthly ‘drop-in’ events focused on a certain wine region, kicking off with a tartiflette and Alpine wine party – ideal in this winter weather. The classic Savoie dish made with potatoes, reblochon cheese, lardons and onions will be on offer as well as five Alpine wines by the glass, with varieties from the Savoie, the Jura and Switzerland’s Mythiopia. The whole point of these events is to make wine more accessible so it’s a v casual evening – you don’t need a ticket and there’s no commitment to try anything more than you want to.